Everyone has a dream of owning their own house. Buying a property is one of the most significant investments for people as they put a major portion of their hard earned money into it. So, it is crucial for the buyer to know the process of registering the property in his/her name, needless to say, it helps the buyer to gain the legal rights over the property and avoid any disputes over the title of the property. Below post will help you to understand the importance of property registration and the procedure for the same. Who can acquire Immovable property in India? 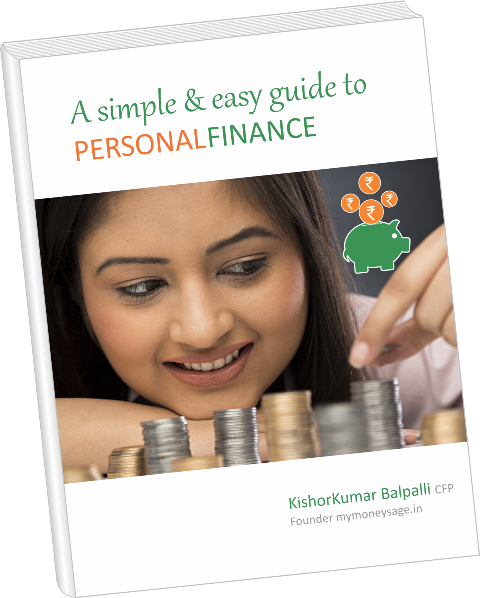 • Non-Resident Indian (NRI) – a citizen of India who is residing outside India. 2. who or either of whose grandfather or father was a citizen of India as per the Constitution of India or by virtue of the Citizenship Act, 1955 (57 of 1955). • Through gifts, trust, etc. Property or land registration in India is governed as per section 17 of the Registration Act, 1908. The act applies to the entire country except for the state of Jammu & Kashmir. The primary objective of the act is to ensure that the information on all the deals is correct and legitimate property/land records are maintained. 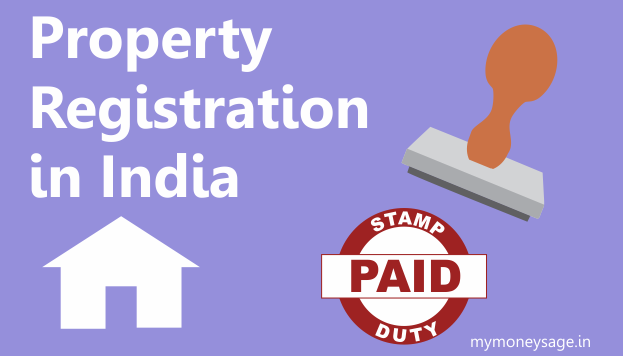 The registration of property in India has become quite simple with the introduction of the computerised property registration system. 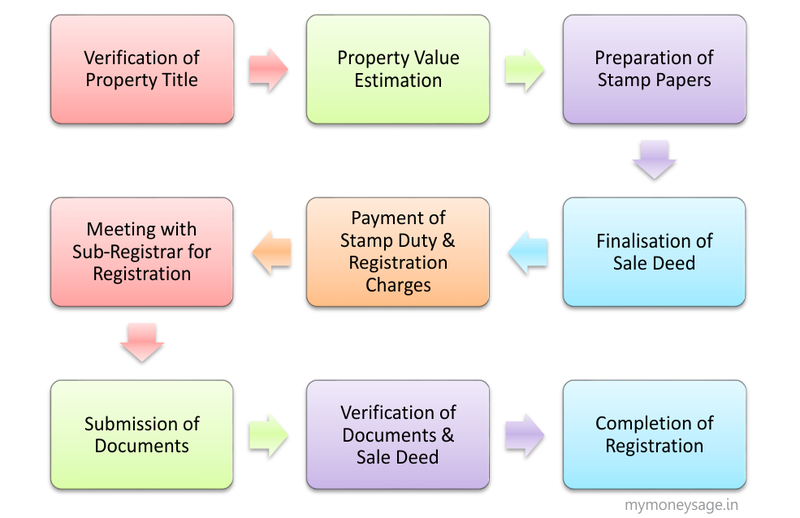 The computerised system for property registration comes up with advantages such as the elimination of the middlemen and transparency in valuation. However, it has not completely replaced the manual paperwork and some states require you to submit an application to the respective authority which shall be the SDM or the Sub-Registrar of your area. The application form can be downloaded from the website of the concerned department, or you can obtain the form, from the concerned authority’s office. The registration process involves making a stamp duty and paying the requisite registration fee for sale deed and have the documents legally recorded with the sub-registrar of your area. The process varies based on whether the property is directly purchased from a developer or whether it is the secondary sale of the property. In the latter case, the process may involve stamp duty and registration of transfer deed. • Verification of the title of the property: The documentation of property varies based on whether the property has been bought from a developer or is it a secondary sale. In the latter case, due diligence would be easier as the first owner will have the property documents ready for the registration. The obligation for the verification of the property title, however, lies on the buyer prior to the registration. • Estimation of the property value: You have to estimate the value of the property in your area for paying the stamp duty. The stamp duty value will be calculated a percentage of; higher of the actual price paid for the property or the circle rate in your area. • Preparation of the Stamp Papers: You are now required to buy non-judicial stamp papers equivalent to the value of the stamp duty. You can purchase stamp papers online (e-Stamp Paper) or from the licensed stamp vendors. • Getting the Sale deed ready: This step involves preparation of the sale deed and get it typed on the stamp papers. It is prepared by an authorised attorney on behalf of the buyer. The subject on the sale deed varies on the nature of the transaction such as a lease, sale, power of attorney, mortgage, etc. • Payment of the Stamp Duty & Registration Charges: Once you have the stamp papers ready, you can pay the stamp duty through the collector of stamps. The registration charges have to be paid prior to the registration of the property. • Approach the Sub-Registrar for Registration: Now you have to take an appointment with the sub-registrar for the registration of the sale deed. You have to go to the sub registrar’s office along with two witnesses. All the parties involved in the process need to carry their photographs and the identification documents. You should carry two copy of the deed along with the original deed. • Documents submission: Along with the sale deed, you are required to submit the requisite documents such as No Objection Certificate (NOC) if the building is located in the city collector’s land, ID and address proof, DD or cash for the payment of the stamp duty, passport size photographs of the parties involved in the transaction, etc. • Completion of Registration: Once all the documents are verified, the registration process will get completed. You can then collect the duly registered documents. The sub-registrar will hand over the original documents while maintaining a copy of the documents with him/her. 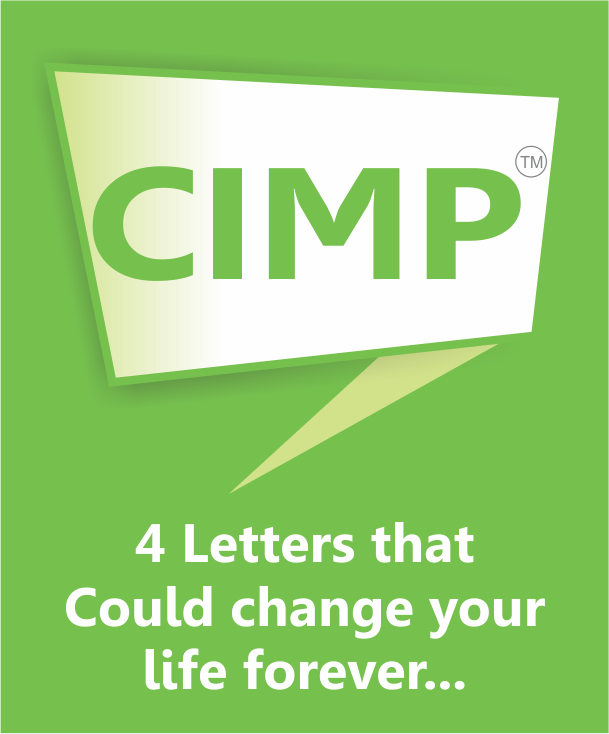 Get a free consultation from a Chartered Estate Planner. Its FREE, but spots are limited… Register now. Property documents must be submitted for registration within four months from the date of execution. In case of the documents being executed abroad, it may be presented for registration within four months after the arrival of the documents in India. In case of non-registration of the property documents, as per section 49 of the Indian Registration Act, 1908, the documents will not have any stance on the property and they do not grant any property rights over the property. In other words, the buyer will be considered as the unrecognised owner by the law and will not have any rights over the property. • Stamp duty was introduced in India in 1899 and is payable as per section 3 of the Indian Stamp Act, 1899. It is payable on sale deed, gift deed, conveyance deed, partition deed, power of attorney, lease deed, etc. • It is a legal document which acts as an evidence in a court of law for the purchase or sale of any property. • It is variable from one state to another and is collected as a percentage of the saleable value of the property, during registration. It may also vary based on whether the property bought is new or old and on the location of the property i.e. urban or rural area. • For the payment of the stamp duty, stamp papers corresponding to the value of the stamp duty have to be bought either in the name of seller or buyer. This stamp paper will be valid for six months provided that the stamp duty is paid on time. • Stamp duty is payable prior to the execution of the document/at the time of execution of the document/on the next working day of the execution of the document. • Stamp duty is payable to the state government by the purchaser/buyer of the property during the transfer of ownership of the property. However, in case of exchange of the property, both seller and buyer of the property are required to share the cost on the stamp duty equally. • Stamp duty has to be paid on time and in full. In case of any delay in the payment, there is a penalty levied on the buyer at the rate of 2% every month of the remaining amount and a maximum of 200% on the unpaid amount. • Stamp duty is usually higher in urban areas, and if the owner of the property happens to be a female, then concession is given on the stamp duty in some of the states. • Registration charges vary from state to state and are calculated as a percentage of the saleable value of the property. 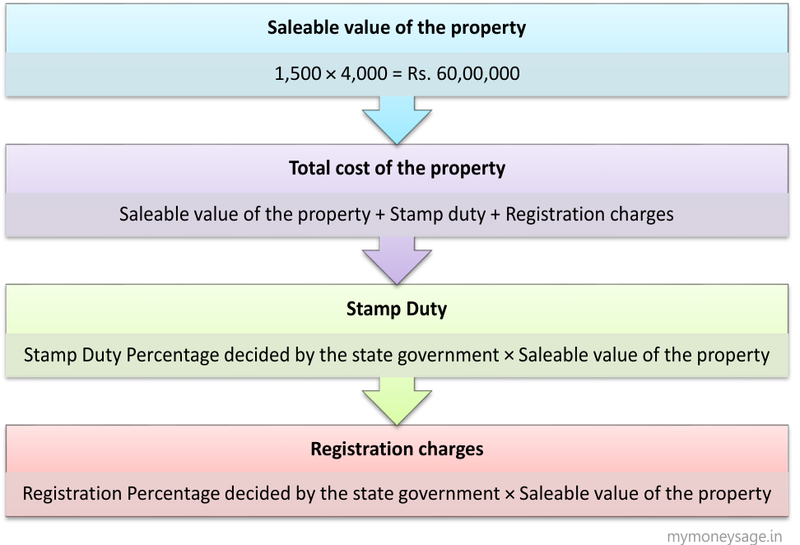 • The calculation of stamp duty and registration charge is done based on the “Guidance Value” decided by the respective state government based on the location of the property. Guidance value is the minimum value on which the property has to be registered. In other words, it is the saleable value of the property in the area or the actual saleable value of the property (whichever is high). • States also calculate stamp duty and registration charges based on the type of the building or land. For instance, in case of independent houses, some states take into consideration the total constructed area for the calculation of the stamp duty and the registration charges. While, in case of apartments, super built up area is considered for the calculation. 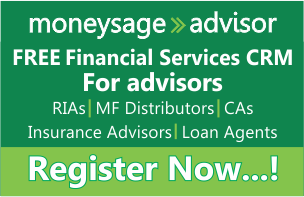 • For most of the states, registration charge is 1% of the saleable value. • Some states give concession for the registration of the property in the name of female members. Check and avail the facility. • Always register the property at the guidance value which is the base price decided for the property registration by the state government. 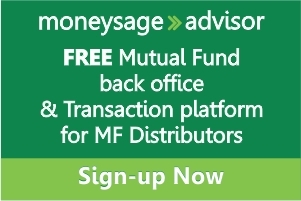 Are New Fund Offers (NFOs) worth investing? in case of property acquired through Unregistered WILL (And transfer affected by Co-Op Society on the basis), what are the requirement (mandatory) & process for its registration as mentioned in your article. I have brought a flat in Odisha. The registration and possession will be done in May 2018. But I will not be in India at that time. How can I use e-registration process to register flat in my name with the help of my brother? It looks like there is a stay order from High court in Odisha for online registration of properties, Hence e-registration may not be possible. How ever we suggest you to consult a property expert from your state to get the status update. Hello Kishor Kumar!! Thanks for sharing such an informative article. Great guidance for me. As I am going to invest in Indian real estate. I had read one another blog which is http://www.spaciorealtors.com/quick-guide-registering-property-india/ and relates to your article. Very helpful Articles. Sir, you are giving wrong information. You are suggesting that property should be registered at only minimum guidance value and not market value which is violation of stamp law because you will not pay full stamp duty in this case. You have to register at market value which is actual sale value.